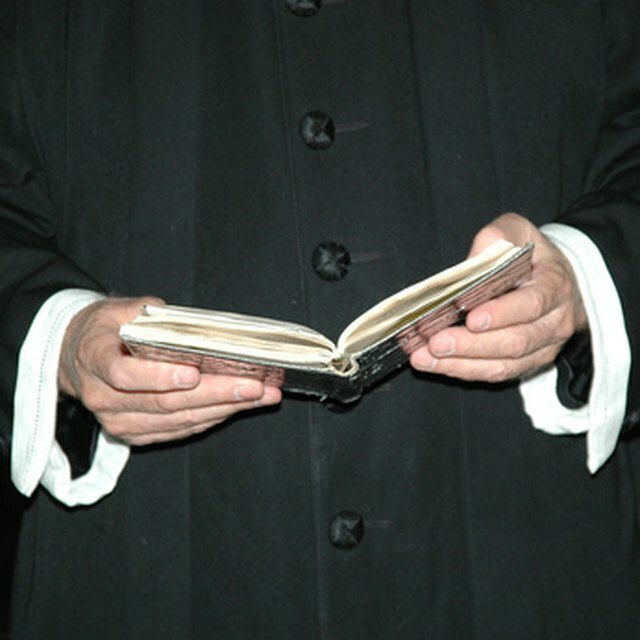 Ordained ministers are able to take advantage of tax benefits that are not available to taxpayers outside the clergy. The tax benefits were originally instituted to help members of the clergy, who were often poorly paid. The most lucrative deduction is related to a minister’s housing expenses and can reduce a minister’s tax burden substantially. There are also other tax benefits that an ordained minister may be able to take advantage of, provided certain Internal Revenue Service qualifications are met. If a religious organization provides a home, also referred to as a parsonage, for a minister, the cost or value of the home is not considered taxable for income tax purposes, even though it is provided as part of a minister’s overall compensation. If the religious organization doesn't provide a home, the minister is able to deduct the fair rental value of his home from his taxable income, as long as the fair rental value does not exceed what would be considered reasonable pay for the minister’s responsibilities. If a religious organization provides a minister with a specific housing allowance as part of his total compensation, that allowance is not taxable for income tax purposes. For example, if a pastor’s total compensation is $55,000, of which $15,000 is specifically designated as the housing allowance, that $15,000 is not considered taxable income. The amount of the housing allowance must be specified prior to its being paid. While ministers are often employed by a specific congregation, denomination or religious organization, some of their income may be considered self-employment income. Examples of this include payments rendered for performing services at weddings, baptisms and funerals. Ministers with self-employment income may be eligible to write off some of their related self-employment expenses. There are specific guidelines that apply, especially for ministers who also write off housing expenses. Therefore it may be a good idea to consult with a tax professional to ensure the deductions are calculated accurately. How Much Money Does a Preacher Make? Members of the clergy are also able to opt out of Social Security based on religious objections. Ministers who choose to do so are no longer responsible for paying Social Security tax, which, as of 2011, equaled 12.4 percent of a taxpayer's income. Ministers who choose to opt out are not able to collect Social Security payments in the future, and the IRS generally does not allow a minister to revoke this decision once it has been made.